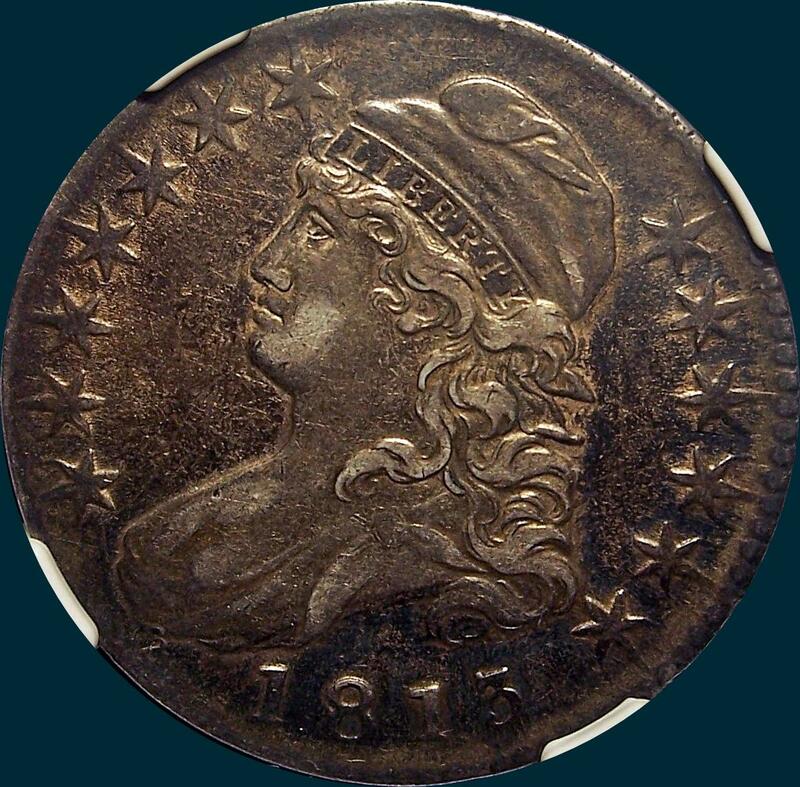 This die marriage went the distance, from crisp early die states to heavily worn late die states with no milling and stretched stars and letters. There are some fantastic surviving examples out there, and any grade can be found without too much difficulty. Variety Attribution: Obverse- All stars are large and clear of milling. date is very wide 10 1/2 mm. with large 8. Star 11 recut. Reverse- 50 C. is 2 1/4 mm. and low. Arrow to A is 1/2 mm. Center dot between crossbars 5 and 6 at left. All crossbars except bottom one, show to right of shield. Serif of A clearly higher than serif of M where they join. Dot above top of left wing. This is the LDS with a die crack from base of D through the bases of S and T.
NGC Graded AU53. Rather thick skin on this. the luster peaks through and is subdued but pretty extensive. 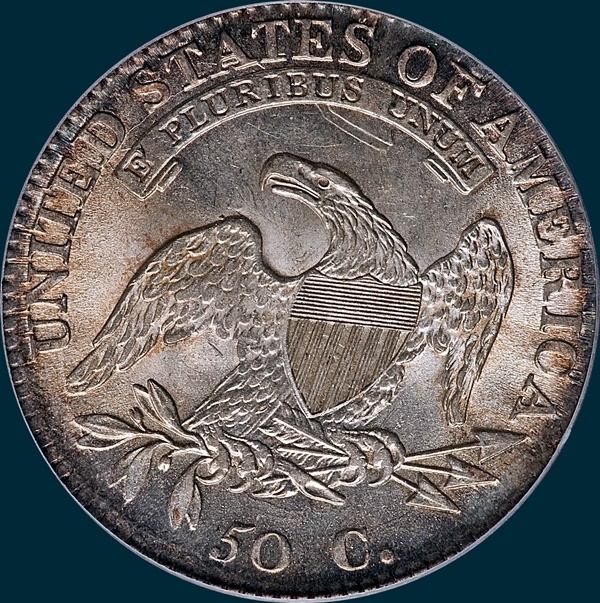 Before the re-holder, it was difficult to see why this graded AU53. Now I see... From Heritage: Late dies with peripheral design spreading and prominent clash marks. 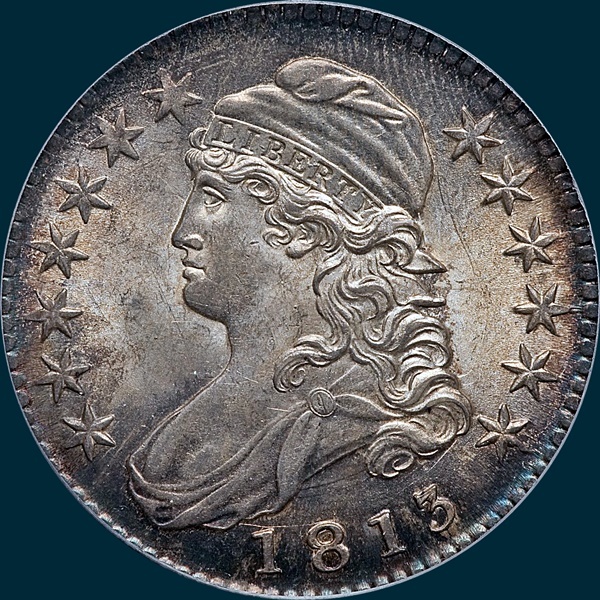 Deep olive and ocean-blue toning consumes this lightly circulated early silver type coin. 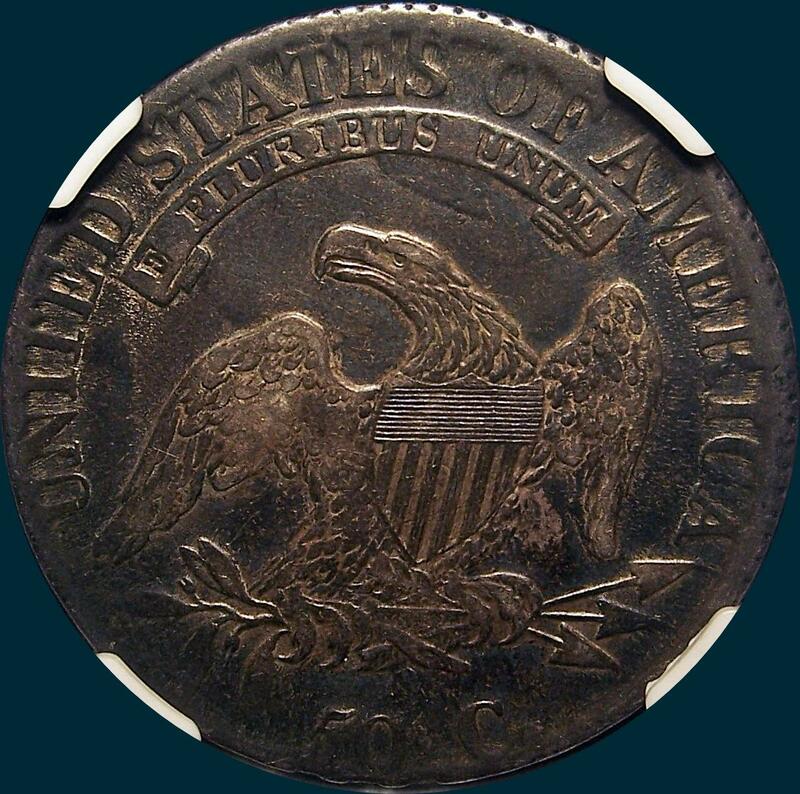 This one has a die crack from the Base of "D" in UNITED through the base of S and T in STATES. You could call this the "a" model as it is listed as such in Steve Herrman's AMBPR. He lists this die state as an R3.